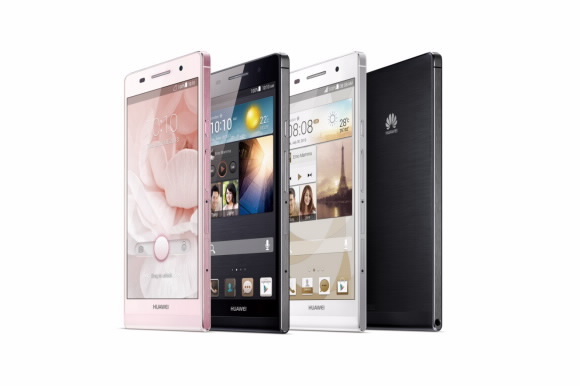 [London, United Kingdom, June 18, 2013]: Huawei, a leading global information and communications technology (ICT) solutions provider, today unveiled the HUAWEI Ascend P6, the world’s slimmest smartphone measuring 6.18mm. The smartphone features a 1.5GHz quad-core processor and a sleek metallic body. With its 4.7-inch high definition in-cell display, industry-leading 5MP front-facing camera, and outstanding software, the HUAWEI Ascend P6 is the embodiment of elegance with an edge. As the flagship smartphone of the Huawei Ascend P series, the HUAWEI Ascend P6 embodies a cutting edge design for the fashion conscious. The smartphone’s brushed metallic look with a naturally curved base is both elegant and intuitive. Impossibly beautiful, the Ascend P6 balances fashionable features and user-friendly functions. The HUAWEI Ascend P6 is available in black, white and pink with matching color cases. It will begin shipping to China from June and to Western Europe from July through Vodafone, Telefonica, Orange, H3G, O2, Carphone Warehouse, TalkTalk, Media Markt & Saturn, TIM and online via Amazon and CDiscount with other markets to follow. Just how robust is your smartphone? Have you ever wondered just how robust that expensive smartphone in your pocket is? Well, Protect Your Bubble ran a test with an Apple iPhone 5 and a Samsung Galaxy S 4 to see just how well they coped with being dropped onto a hard surface or immersed in water.. enjoy! () = Last month's position. Samsung beats Apple on Krusell's Top Seller list for May. 4 out of 10 positions is Samsung against 2 for Apple. Samsung who is aggressively investing in taking market shares is no secret to anyone in the mobile industry, says Ulf Sandberg CEO at Krusell. - Though two things worth highlighting in May statistics is the fact that we see three Sony devices on the list. This is well achieved by Sony considering their global market share. The second thing is that we can see Samsung's Xcover 271 at 9th place and is a niche device that obviously needs good cases, which we are grateful for he ends. The Swedish manufacturer of carrying cases for portable electronics, Krusell, releases its Top 10-list for May 2013. The list is based on number of pieces custom made mobile- and smartphone cases ordered from Krusell during May 2013. The list of Krusell is unique due to the fact that it reflects the sales of phones in six continents and in more than 70 countries around the globe. Krusell Group with 200 million SEK in turnover, and more than 500 employees around the globe is a Swedish lifestyle-house in which several consumer electronic brands reside such as Motörheadphönes, Krusell and the ecofriendly BioSerie. After more than 20 years in the mobile phone industry, Krusell is established as one of the leading brands in its niche. Besides cases for smart phones, Krusell also sell, develop and manufacture laptop-, tablet cases and audio products. Moreover, Krusell is a subcontractor to Sony, Samsung, Sanyo, Honda, Toyota and LG. Apple today announced new MacBook Air and Mac Pro computers, a new Mac operating system, and the new version of its iOS operating system, iOS 7. "iOS 7 is easily the biggest news...," believes Jan Dawson, chief telecoms analyst at Ovum "...because it represents a massive overhaul of the look and feel of the operating system, which has remained largely unchanged visually since the original version." He continues: “The new version is almost unrecognizable, which will make it polarizing. Some people will love that their phone feels new and different, while others will be disoriented by the newness. Finding your Settings app is hard when the icon has totally changed, and the many people who easily get disoriented by their gadgets may well have a negative experience. On the other hand, this is a clear statement from Apple that it acknowledges the need to refresh the user interface and is willing to do something pretty dramatic. Many of the new features Apple added to iOS 7 are fixes to problems rather than dramatic or clever new ideas – Notifications, Siri, and Multitasking enhancements and the introduction of Control Center all deal with deficiencies rather than providing surprising new features no-one would have thought of. The fact that neither iOS 7 isn't coming until the fall is a disappointment from a user perspective, but the delay is necessary to give developers time to rework their apps to take advantage of the new operating system and fit in visually. “The new MacBook Airs are further evidence that for all that competitors copy the look of Apple's computers, Apple itself is still ahead in terms of performance. The battery life improvements put it way ahead of other players in this space, and even when competitors start to adopt Intel's Haswell hardware, they will struggle to match the overall performance. 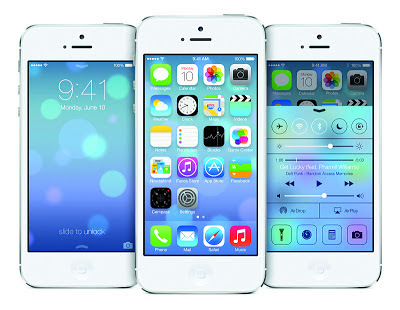 SAN FRANCISCO―June 10, 2013―Apple® today unveiled iOS 7, the most significant iOS update since the original iPhone®, featuring a stunning new user interface. iOS 7 is completely redesigned with subtle motion, an elegant color palette and distinct, functional layers that make it feel more alive. The typography has been refined for a cleaner, simpler look, and the use of translucency and motion makes even simple tasks more engaging. iOS 7 has hundreds of great new features, including Control Center, Notification Center, improved Multitasking, AirDrop®, enhanced Photos, Safari®, Siri® and introduces iTunes Radio™, a free Internet radio service based on the music you listen to on iTunes®.